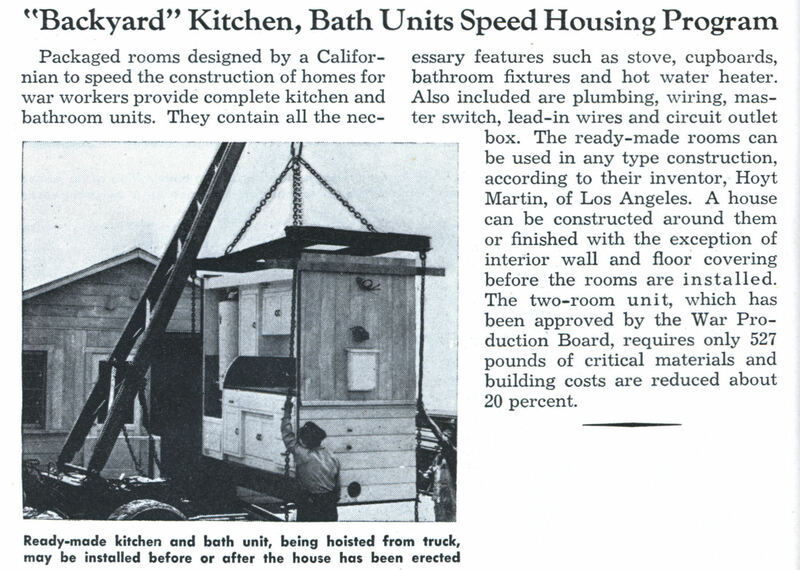 Packaged rooms designed by a Californian to speed the construction of homes for war workers provide complete kitchen and bathroom units. They contain all the necessary features such as stove, cupboards, bathroom fixtures and hot water heater. Also included are plumbing, wiring, master switch, lead-in wires and circuit outlet box. 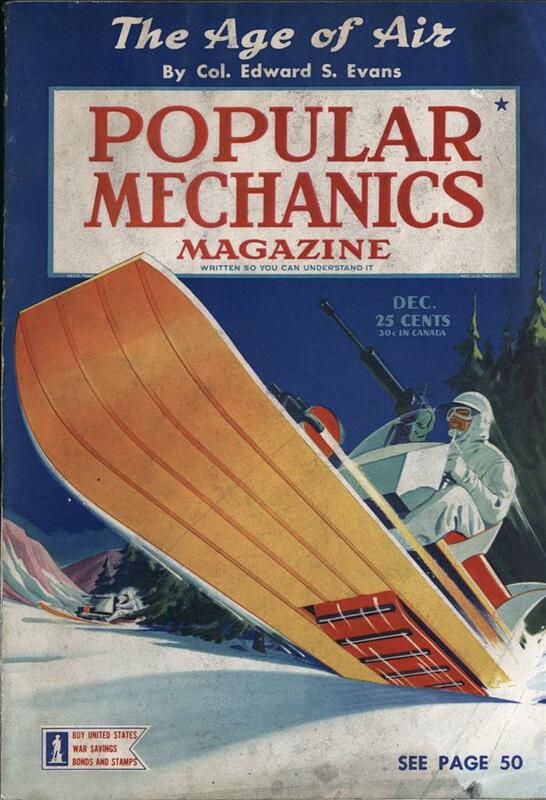 The ready-made rooms can be used in any type construction, according to their inventor, Hoyt Martin, of Los Angeles. A house can be constructed around them or finished with the exception of interior wall and floor covering before the rooms are installed. The two-room unit, which has been approved by the War Production Board, requires only 527 pounds of critical materials and building costs are reduced about 20 percent. I had an apartment with something like this a few years ago. The ancient, built-in refrigerator had died long ago, but couldn’t be replaced without taking out the rest of the unit. At least it made a good place to keep bread where the mice couldn’t get it.